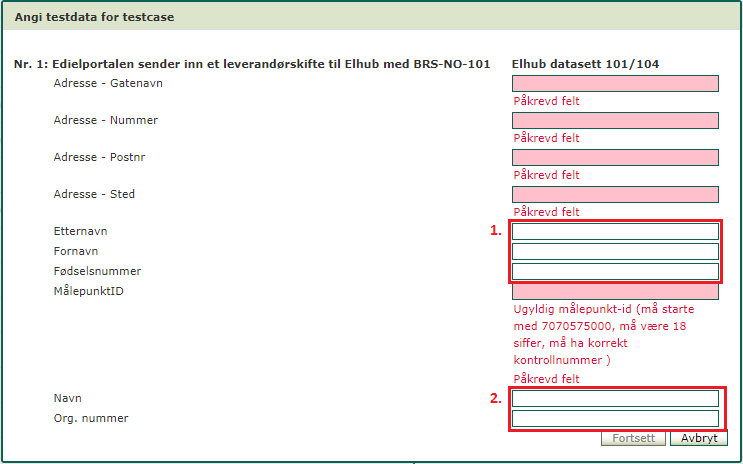 In some test cases, there will be requirements for several fields to be filled in. It is important that all required fields are filled in. In addition, you must either fill in the fields for point 1 or point 2, depending on the type of end-user type you are testing. 6. At the end of the test: Check the test status in the Ediel Portal at regular intervals. If the status is approved, the test is complete, if the status is not approved, the test must be run again. It may take up to a few days for the Ediel portal to approve the test.